Striata Spotlight Insights Do your customers get to see the emails you send? For the last few months, eMarketing Insight has focused on the importance of testing, discussing key testing areas including subject line and call to action testing, as well as layout and copy testing. This final instalment will highlight the importance of understanding and testing when it comes to deliverability – do your customers get to see the emails you send? 20% of email globally doesn’t make it into the inbox*. This percentage only accounts for lost email; not bounces or emails that land in the junk folder. Now isn’t that a scary statistic? Deliverability has to be the main focus for email marketers, otherwise what is the point of doing all the copywriting, design and development if the email is not even going to make it through to the intended recipients? How do you test for deliverability? 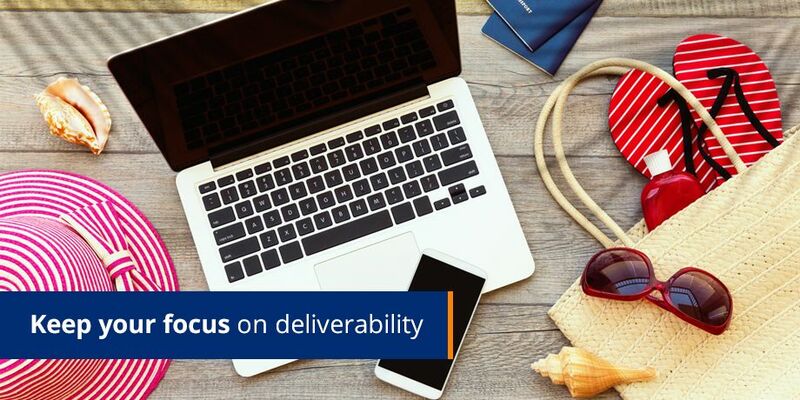 We previously discussed the importance of deliverability and provided you with tips on what you should be doing to improve your deliverability. Today we’ll look into what you can test, and how. A simple test is to put together a seedlist of multiple email addresses at web email accounts such as yahoo, hotmail and Gmail, as well as the major ISPs (internet service providers) in your area. You can also get a tool to test your IPR (inbox penetration rates) or rather work with your ESP (email service provider) on getting IPR results. A test to this seed-list should be sent before you go live with your campaign, so that you can monitor any potential problems and see if all of your emails are reaching the intended recipients. 100% delivery rate doesn’t mean anything if your emails aren’t actually in the inbox. Your ‘sender reputation’ is a score that is associated with the IP address from which your emails are sent. Based on this score, there are many ISPs that will either allow or block emails to its customers. The sender reputation is affected by a number of factors including complaints received from emails you’ve sent, the quality of your list and consistent distribution from that IP address. Ask your ESP to regularly check your sender reputation score or use a service like that of ReturnPath to check it yourself. There you have it! Keep your focus on deliverability to ensure all your effort of copywriting, design and development is worthwhile by getting your email into your customers’ inbox. We hope you have found this series on testing valuable. We will run a bonus issue to summarize everything we’ve covered in the last 4 months – and look out for 2 additional bonus tests to further enhance your email marketing! Remember it’s important to keep testing in order to stay abreast of what works best for your brand and your customers.